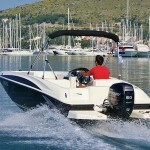 Our Bayliner Element is an affordable boat that bursts fun for the entire family. 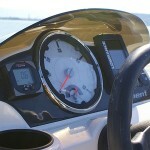 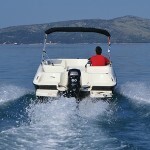 She is powered by strong and super-efficient Mercury’s 60-hp four-stroke outboard. 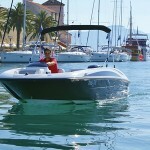 With its innovative M-hull, she is quite stable and will cut through the waves with the comfort and ease. 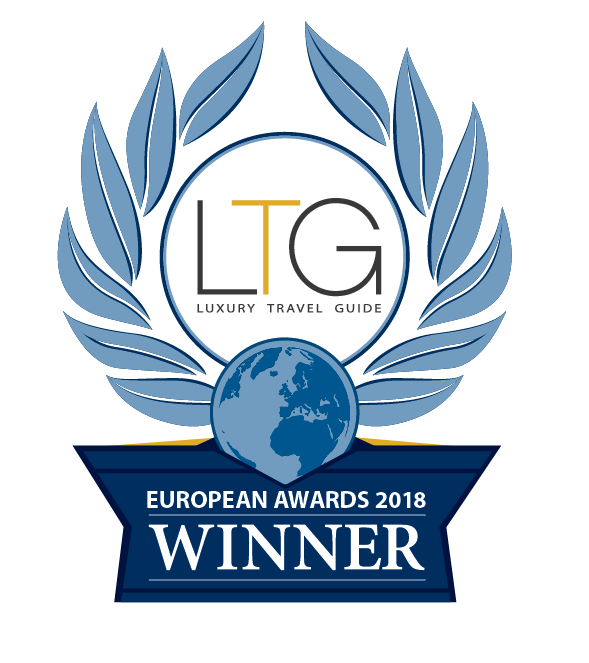 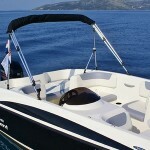 Except all the other additional equipment she is also fitted with the Bimini top so you can relax in a shadow on the stern, but if you love the sun on the front roomy sun pad you can enjoy it as much as you want. 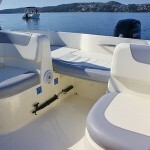 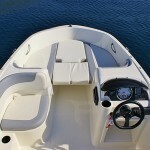 The Bayliner’s effective layout makes it a perfect boat for up to 6 persons. 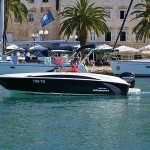 Length 4,92 m-Width 2,13 m-Engine Mercury Four Stroke 60HP Big Foot-Max. 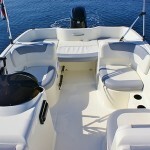 Speed 30 MPH-Fuel Tank 45 l-Fresh water tank 35 l-Persons max.6-Year built 2014.